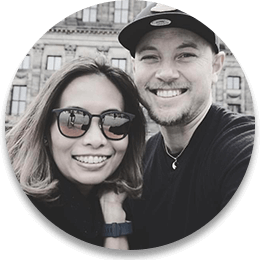 Hi, we're Kate and Wade and we would like to raise funds for Team Kids because we have spent a lot of time at the Sydney Children's Hospital, Randwick over the past two and a half years. 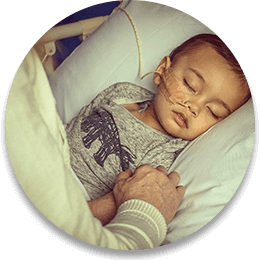 Unfortunately, our son Wilson was diagnosed with Acute Myeloid Leukaemia just before his second birthday which was a frightening, confronting and extremely challenging situation to deal with. We have had long-stay periods at the Hospital, as well as on-again-off-again treatment cycles and regular checkups. The quality of medical treatment and the personal support offered by the doctors, nurses and all the Hospital staff are nothing short of amazing. The commitment these professionals have towards the cause of helping children with cancer has such a profoundly positive impact on the lives of so many people, if there is anything we can do to help raise funds for this cause we are all in. We both enjoy running, we do it for fun, but we particularly enjoy participating in organised events like Blackmores. We participated last year and found it a great way to stay focused on fitness leading up to the day of the run. There is nothing more exciting than regular running and mixed training at the gym, we are so lucky to live in Sydney and to have such beautiful views when going for a run, it is more of a pleasure than a chore. 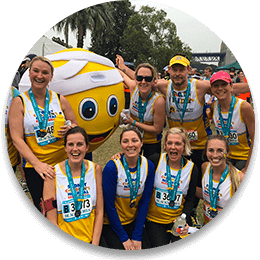 The Blackmores Sydney Running Festival has something to suit everyone. Whether you are challenging yourself to a half or full marathon, or enjoying a fun run with the kids as part of the 3.5km family run you are sure to have an enjoyable day out. This year we hope to beat our target and raise over $60,000 to brighten the lives of sick and injured children. 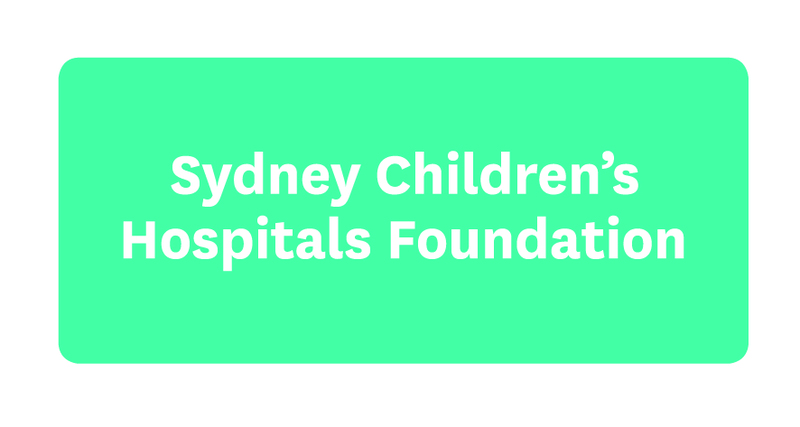 If you need any help or have questions please complete the form below or contact Sophie at Sydney Children's Hospital Foundation - call +61 2 9382 1069 or email sophie.menner@schf.org.au.